Welcome to our Elimination Communication Series on Natural Beauty Lifestyle. Elimination communication (EC) is also known as natural infant hygiene or infant potty training. Let me begin this series by answering the question, "What is elimination communication?". I first heard of the concept years ago from a good friend who had read a book about "potty training" babies. Years later, on my world travels, I realized that many cultures do not rely on diapers. In China, it is common to see bare baby bottoms, as split-crotch pants are commonly worn by babies. When a baby needs to go, she is taken to an acceptable location, such as a patch of grass, and allowed to relieve herself without the hindrance of a diaper or clothes getting in the way. In India, diaperless babies are worn inside their mothers' clothing. But even on overnight train rides the mothers are not soiled by their babies. How is that possible? When I returned home, I was curious to learn more about this concept, so I started reading books about elimination communication. Elimination communication is simply communicating with your baby about their need to eliminate, and allowing your baby to pee or poo in a potty or toilet, rather than in a diaper. The term "elimination communication" refers to the communication happening between a caregiver and a baby about the baby's need to eliminate. The baby communicates through signals indicating their needs. The caregiver communicates through cueing sounds, such as "psss", and positioning to indicate that it is an appropriate time and place for the baby to eliminate. Eventually, the baby may also use sign language, the cue sounds, or words to communicate his or her needs. In addition to picking up on the baby's signals, timing can be used to catch the pees or poos in an acceptable container. If the pee or poo ends up in a diaper, it is considered a miss. "Elimination communication opens another avenue for parents to respond to their baby's primal needs. Yet, natural infant hygiene offers much more than just another parenting 'technique' for dealing with a baby's elimination. Ideally, it is fundamentally a way of being with one's baby. This way of being focuses on the relationship and communication; it is a lifestyle, rather than a chore." The term "natural infant hygiene" refers to a natural or primal way for a parent to respond to their baby's elimination needs. Rather than waiting until after the fact, a baby's elimination needs are responded to promptly and in a very hygienic manner. A baby who peed or pooed in a potty is much easier to clean than one who peed or pooed in a diaper. The use of the phrase "diaper free" in many book titles is a major source of confusion. When practicing EC, the baby is not necessarily diaperless. "Diaper free" refers to the lack of complete reliance on diapers. I think the term diaper-free was incorporated into titles just to sell more books, since it also appears in titles of books advocating using diapers as back up. None of the books that I read encouraged completely forgoing diapers. As part of EC, diaper free time is used to observe a baby's signals indicating that the baby needs to pee or poo. But babies who do EC may still wear diapers most of the time as back-up. However, many babies raised with EC are able to move onto training pants and underwear much sooner than traditionally potty trained children. The term "infant potty training" is also sometimes used. When I first started EC, I did not like the term infant potty training. Now that I have personally done non-coercive potty training with my son, the term does not bother me as much. I like to think of elimination communication as teaching my child appropriate behavior. Infant potty training makes it sound like a one-way street, with the parent telling the baby to use the potty. In reality, EC is a two-way line of communication. I have my own name for this practice. I like to call it "pee in the potty". It is as simple as that. My interpretation of natural infant hygiene is simply allowing a baby to pee and poo in a toilet, potty, or the great outdoors, rather than in a diaper. As much as I looked forward to becoming a parent and getting to change my baby's diapers (seriously, I did look forward to changing diapers- I'm just strange like that), I always felt there must be a better way. I thought it odd that many parents know when their baby is about to poo, but allow the baby to finish pooping in a diaper before changing the diaper. If you know it's about to happen, isn't there a better way to deal with the poo than letting it make a mess on baby's bottom? I like the explanation that practicing EC with a child means NOT diaper-training the child. Traditional potty training follows months or years of teaching a child to eliminate in a diaper. All of the sudden what was fine before is no longer okay. With EC, the child is simply taught from the start that there are acceptable places outside a diaper to eliminate. The premise behind natural infant hygiene is that babies are aware BEFORE they need to pee or poo, and are able to communicate that need to a caregiver. The caregiver can then remove any clothing and take the baby to an appropriate place to pee or poo. Many people assume that a baby does not cry or otherwise signal until after peeing or pooing in a diaper. Once you realize that a baby can let you know before soiling his or her diaper, does that change your opinion of whether EC is really possible? Also, at the foundation of EC, is the understanding that even a very young baby does not want to soil himself or herself. The baby would much rather pee or poo away from their own body and away from a caregiver's body. You may have found while changing diapers that your baby would often pee as soon as the diaper was removed. 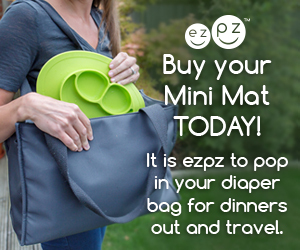 For traditional diapering this may be a hindrance, but for EC it is a great starting point. Also, since babies do not want to soil a caregiver who is holding them, they will signal the need to eliminate by trying to escape from the caregiver's arms. This means that babywearing can make it easier to notice a baby's signals. That wraps up our introduction to elimination communication. Next, we will cover How to Practice Elimination Communication. Had you heard of elimination communication before?